Highest mountain in North America and the northernmost 6,000 m peak in the world. A monumentally prolific mountain: 3rd most prominent mountain in the world and one of the greatest vertical rises in the world (18,000 ft / 5,486 m vertical rise). 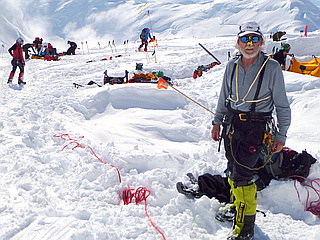 Its extreme latitude presents challenges to climbers. Infamous for its extremely cold weather, reaching -100°F / -73°C in one measurement. 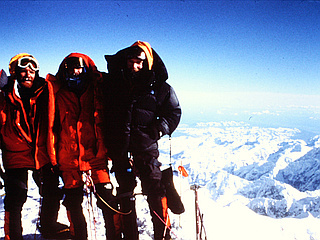 Also the air has less oxygen than peaks of similar height near the equator, adding to the risk of altitude sickness for climbers. 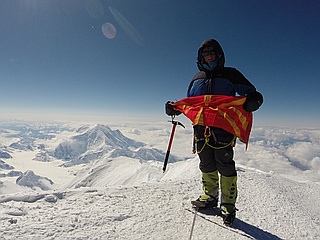 Denali has two significant summits: the South Summit is the highest one, while the rarely visited North Summit has an elevation of 19,470 feet. Extreme glaciation: 5 large glaciers flow off the slopes of the mountain: Peters Glacier, Muldrow Glacier, Traleika Glacier, Ruth Glacier, and the Kahiltna Glacier. By far the most popular climbing route on the mountain (90%) is the West Buttress Route pioneered by Bradford Washburn in 1951. Typically done in 17-21 days. Most start by flying in via air taxi to the Kahiltna Glacier at 7,200 ft. Then slow progress is made up the mountain at a series of camps at 7,800 ft, 9,500 ft, 11,000 ft, 14,200 ft and 17,200 ft. Only 50% of climbers succeed in summiting, mostly due to bad weather and running out of time. Centerpiece of 6 million acre Denali National Park, designated a UNESCO biosphere reserve. 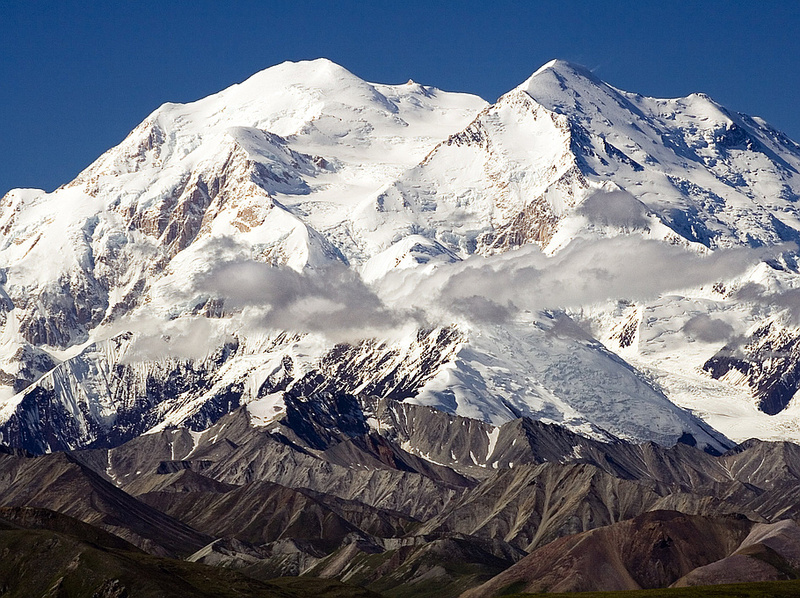 Denali is the highest point in Denali National Park.